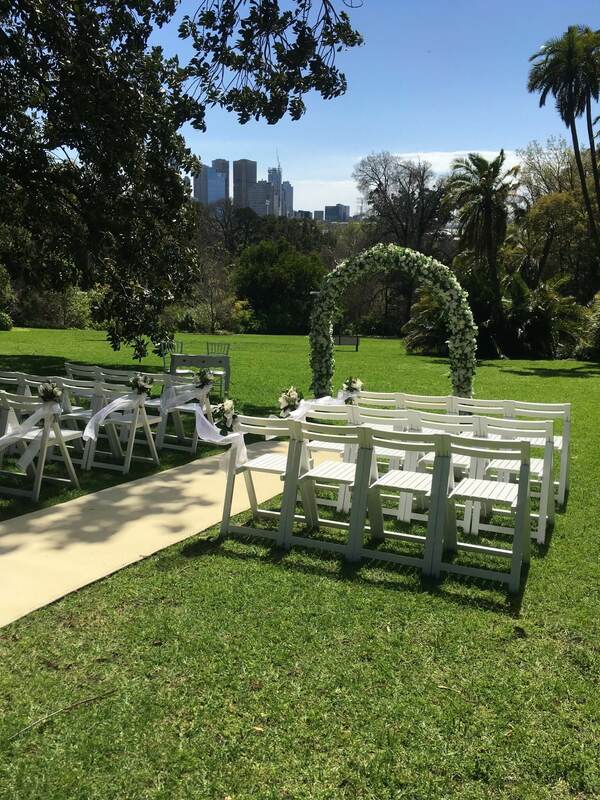 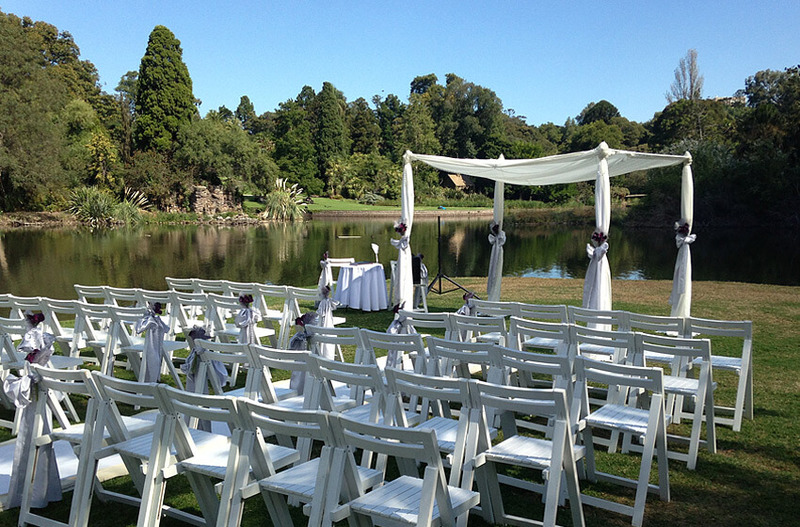 The Royal Botanic Gardens is a truly magnificent venue to hold your special event. 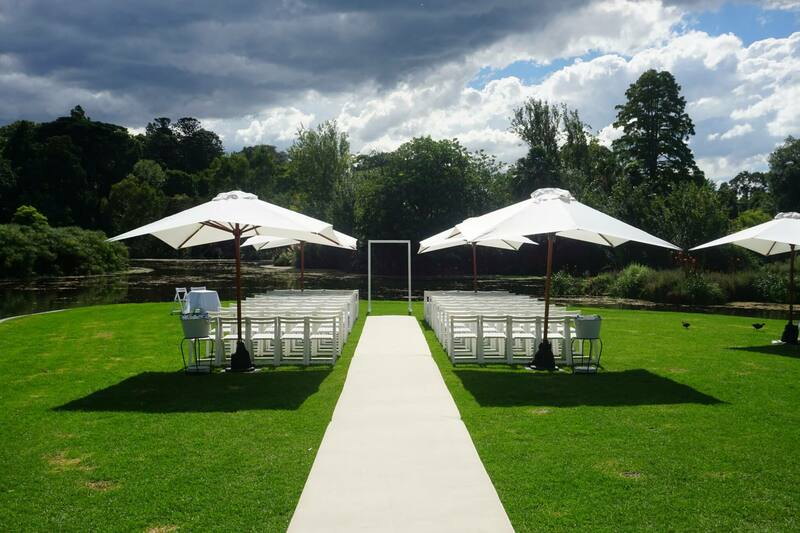 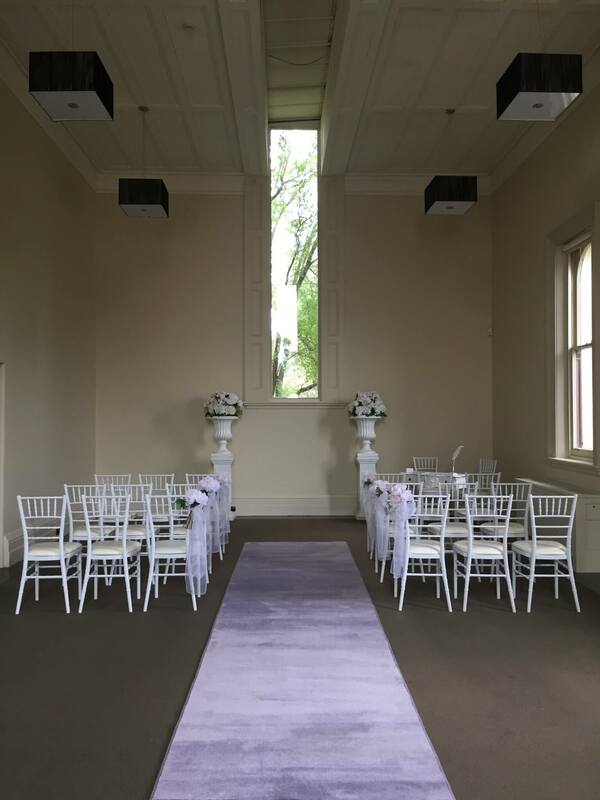 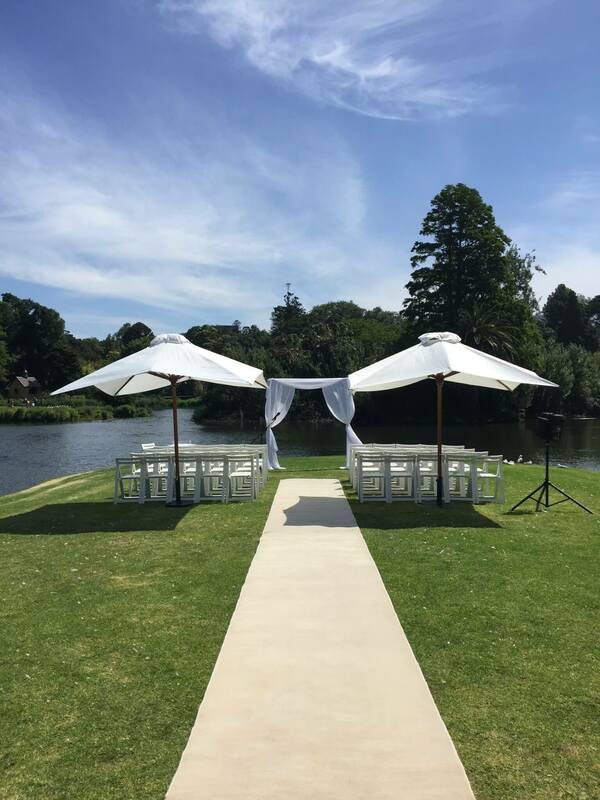 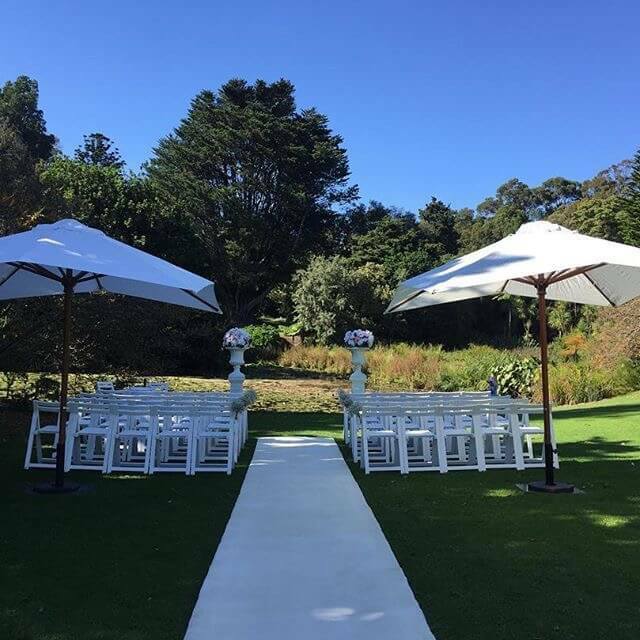 With its rolling hills, landscaped gardens, lake views and historic function rooms, the Royal Botanic Gardens is the ideal location for your wedding. 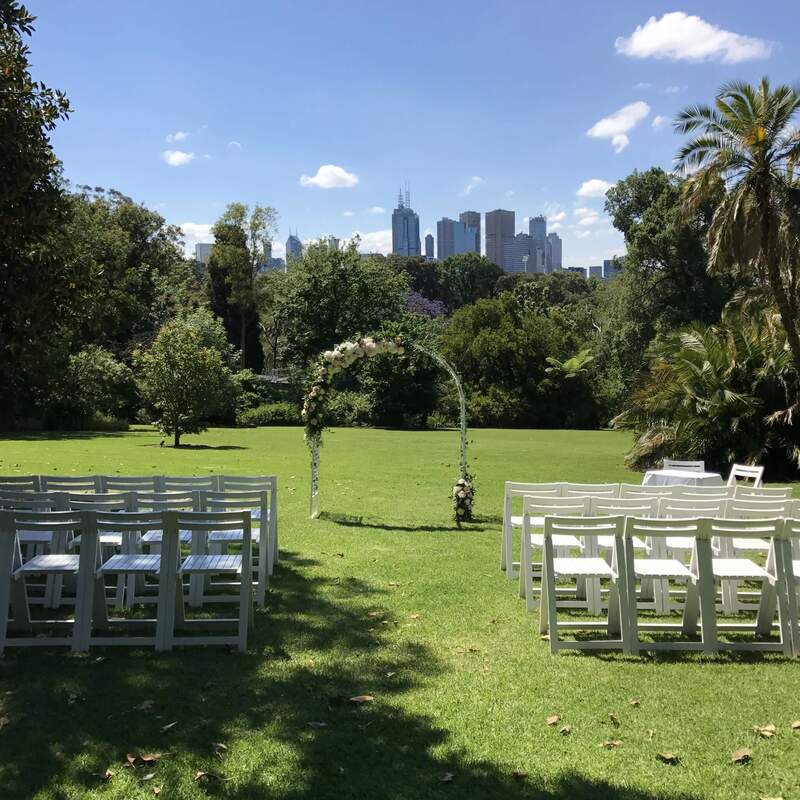 The Royal Botanic Gardens extends over 38 hectares and displays more than 50,000 individual plants, representing approximately 10,000 different species from every part of the globe. 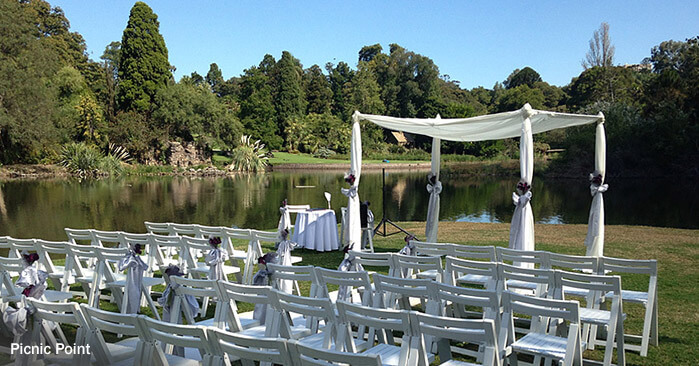 The gardens provide a natural sanctuary for native wildlife such as black swans, eels, bell miners, cockatoos and fairy-wrens. 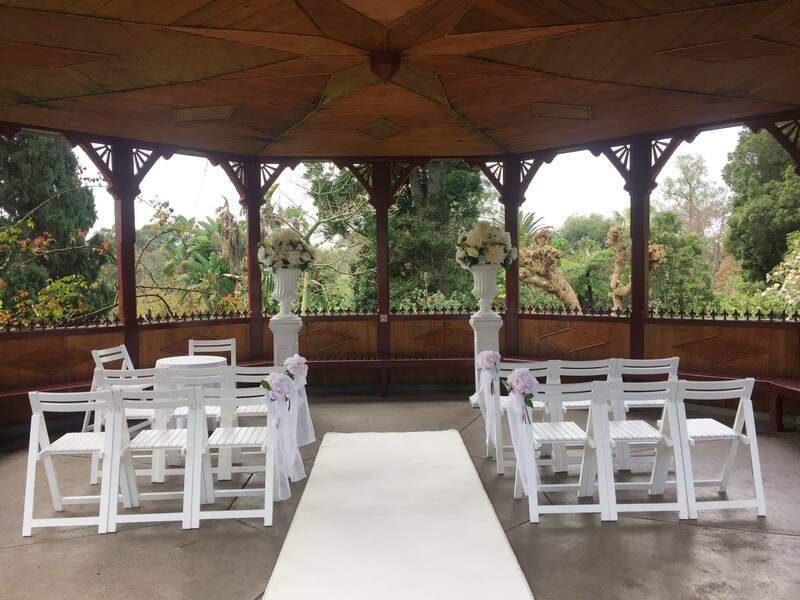 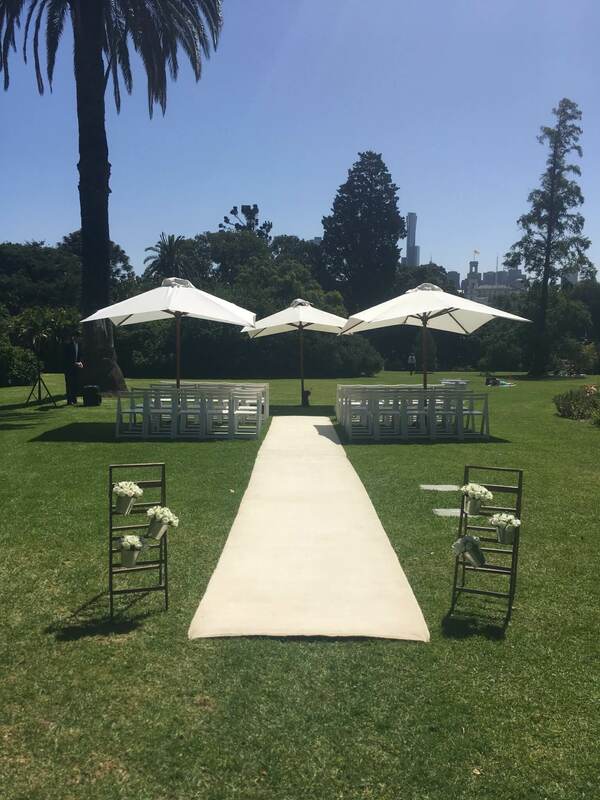 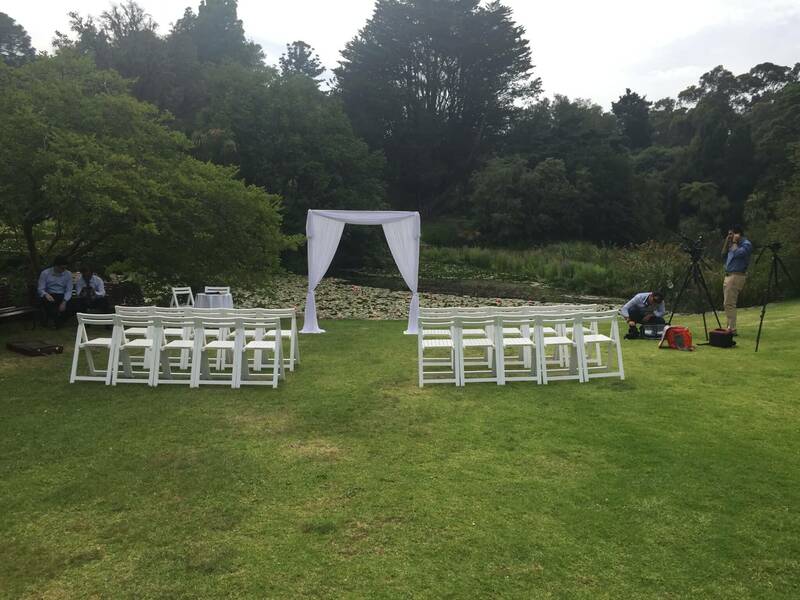 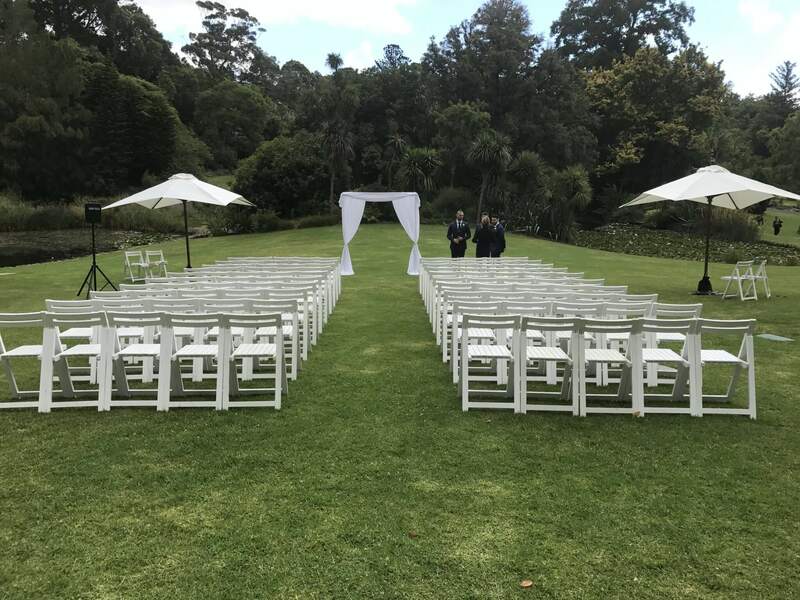 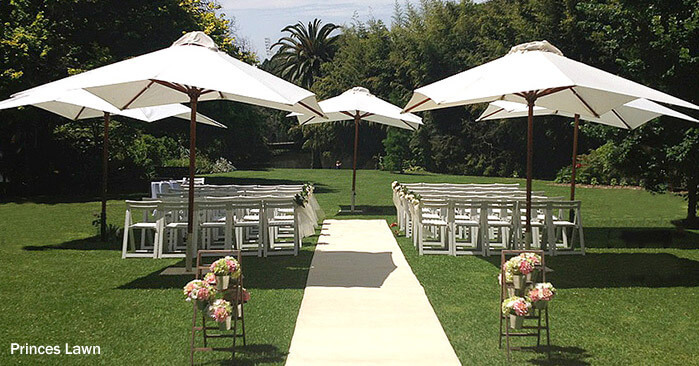 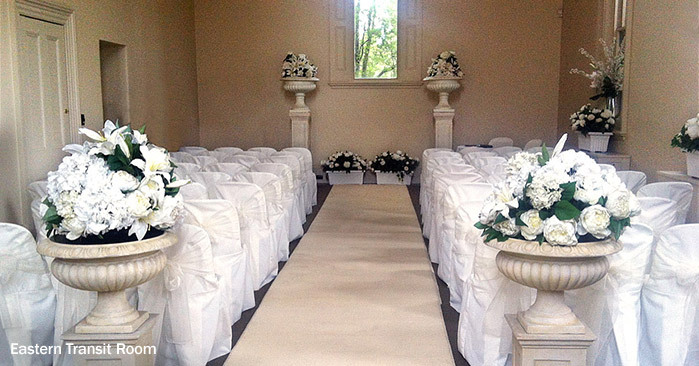 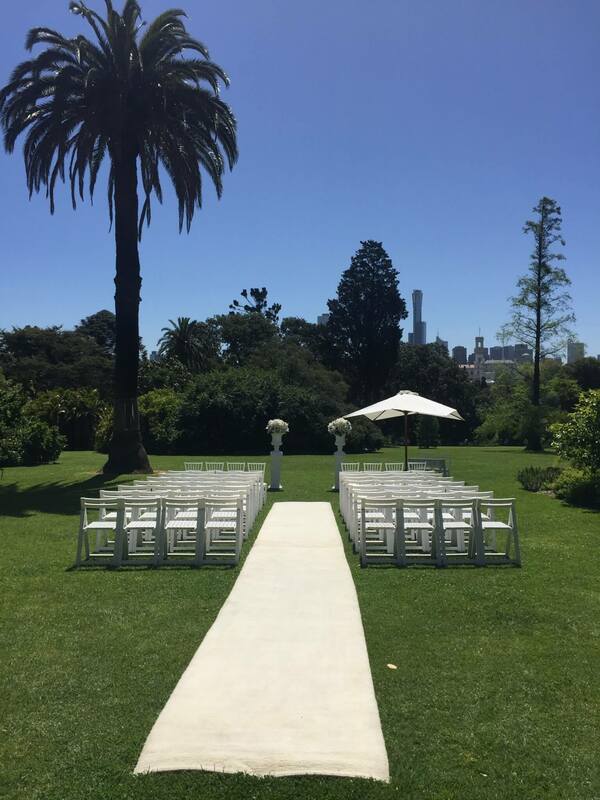 As one of the preferred suppliers for wedding ceremony decoration, we are extremely familiar with the gardens and are able to help you organise your wedding ceremony at any of the locations within the Royal Botanic Gardens. 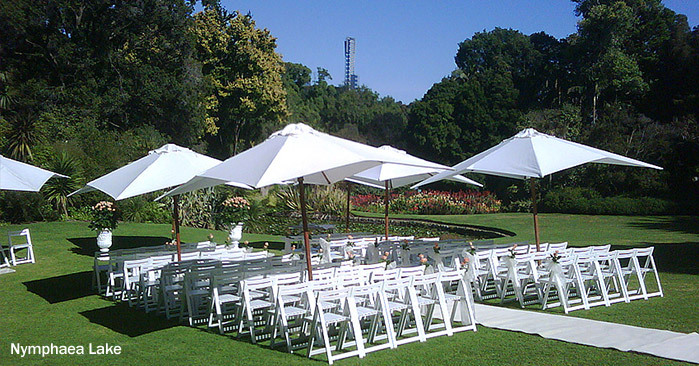 We are also able to assist you in organising marquee reception.